Today, we are delighted to release a newer version (1.1.0.0) of Dilli Email Validator(DEV) WordPress plugin. 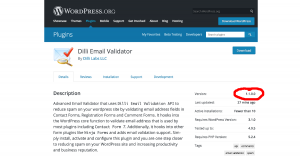 Dilli Email Validator provides advanced validation for email form fields on WordPress sites using DEVA (Dilli Email Validation API). This newer version adds out of the box validation for email fields in forms built using Ninja Forms Wordpress plugin. Simply install, activate and configure DEV and get automatic email validation built into your WordPress sites so as to prevent malicious submissions and typographical errors. DEV already supports email form field validation in other popular form plugins like Contact Form 7, etc. 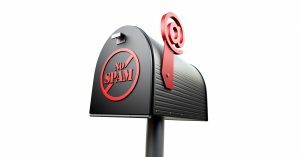 StopForumSpam.com maintains a list of known malicious emails used for spam in blogs, forums and wikis. 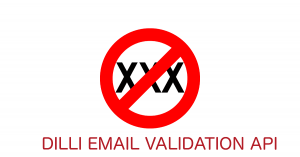 Beginning today, Dilli Email Validation API (DEVA) has added a new validation rule to check an email address against the StopForumSpam’s email blacklist to ensure that ‘bad guys’ are kept at bay from your website. This further enhances already existing advanced email validation capabilities of DEVA to help eliminate spammers from eavesdropping on your websites or other applications. Learn more about DEVA here. Are you in the lead generation business ? Leads containing profanity are most likely spam leads. They go undetected coming from clean IPs with valid content. Since they go undetected, they unfortunately make it to your recipient and do much harm to the trust and thus your business. At Dilli Labs LLC, we advice that you validate your lead content for profanity using our following API and prevent sending the lead to your recipients if the lead contains vulgar keywords. DEVIL (Detection and Exclusion of Vulgar and Improper Language) is a simple profanity filter REST API for developers that determines whether text contains profanity or not. Click here for Demo, Usage and Pricing information.